Every New Year’s Day, the Rose Bowl Parade captivates not just the nation—but the world. Known for its floats completely covered in organic materials, this parade helps in kicking in the New Year, with about 700,000 people physically attending to spectate and millions of viewers worldwide watching as the bands, floats, horses, and more move down Colorado Boulevard in Pasadena, California. But how do national television networks prepare to broadcast the celebration for Americans all the way to the east coast? 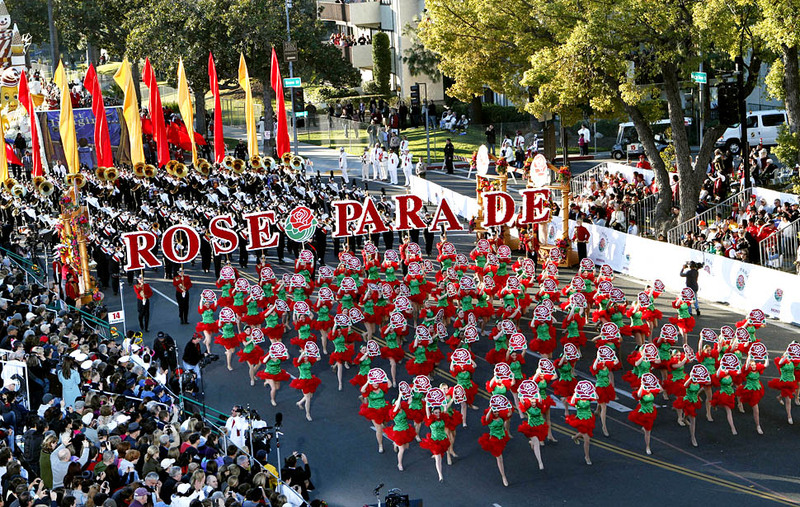 Although coordinators and directors specifically for the Rose Bowl Parade begin to plan for the spectacle at the start of every year, NBC begins to plan their personal broadcast up to three months before the event. Within that time, the script for television personalities Hoda Kotb and Al Roker are written out, crews are booked, staff is hired, the budget is created, and weekly production meetings are held to make sure everything is on task. Due to the parade being a large event with coverage on all sorts of media—from Funny or Die, to local Los Angeles news channels, to national networks—a great deal of planning and putting things together is done relatively last minute. Within a week before the Rose Bowl Parade, the side streets around Colorado Boulevard and open lots begin to fill with production trucks, cameras, microphones, and more. New York teams from NBC fly over and meet up with NBC teams based in Los Angeles, yet fluently work as if they spend all year together. Before you know it, everyone—from audio, to tech members, to directors and more—begins to cram inside the truck and get to work in preparation for the big day. Before January 1st, cameras, music, and microphones are tested, graphics are created, and the script is even read over by Kotb and Rocker at a round table full of employees with different roles—all to be critiqued and edited just three days before the actual Rose Bowl Parade. Along with this, due to the fact that all organic materials are real, the set that the hosts stand on is fully decorated with an array of flowers the day before so they don’t die before the show. Once New Year’s Day arrives, everyone has to wake up at 4 am—which in turn resulted in the celebration of a New York New Year’s Eve the night before—and get to the set for final preparations before the big show. As the performers for the parade practice their songs, crew members scurry around as graphics for the just released winning floats have to be built, and all audio and cameras are retested for absolute certainty. Finally, as the millions of viewers are enjoying the Rose Bowl Parade with nothing but cheer, the atmosphere inside the production truck is slightly different, to say the least. For two straight hours directors yell for camera changes, commercials are decided practically in the moment, tech members make sure that everything is going smoothly, and crew members take down times and save clips for any instances in the hopes to televise floats that the viewers may have missed during breaks; all creating an event that can cause anxiety and an adrenaline rush just for an observer—but nevertheless shows not only a strong sense of teamwork, but the dedication, passion, and talent the employees at NBC have to bring this event to homes across the country.